Home / Blog / Surviving Summer Camp: Prevent Bugs From Bugging Your Kids — Naturally. 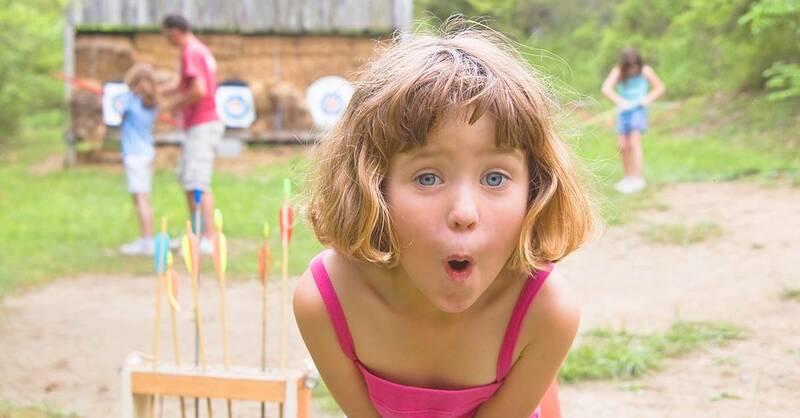 Surviving Summer Camp: Prevent Bugs From Bugging Your Kids — Naturally. Summer camp is lots of fun! We stay up super late every night, and no one cares if I don’t eat my peas. I’m learning tons of new things, but it’s hard to remember what right now because I can’t stop itching. Sending your child to summer camp is a rite of passage, but don’t let bug bites, sunburns, or poison ivy ruin this experience of a lifetime. Remember to include these natural remedies when packing. Pack to prevent pests and other problems. 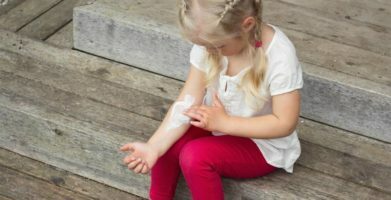 You already know to send enough socks and underwear, but do you know what your child will do when she’s away from home and has been bitten by a dozen mosquitoes after a night around the campfire? She won’t need to run to the nurse’s station for every bump or bruise, if you pack some standard things that can do double duty. Toothpaste: Mint, a common toothpaste flavor, can soothe an itch. Let your little one know that all she needs to do is spread a dab over a bug bite for some quick relief. Chewing gum: Gum can settle an upset stomach; the extra saliva you produce when chewing will neutralize stomach acid. Chap stick: For small cuts or nicks, a quick swipe of chap stick over the wound will stop bleeding. Other common camp complaints can be solved with simple DIY remedies. Sunburn: Send along packs of plain instant oatmeal. Making the oats extra watery and rubbing an oatmeal paste on sunburned skin will ease the pain. Poison Ivy: Rubbing the inside of a banana peel on a rash from poison ivy, oak, or sumac can soothe skin and aid healing. Stomach aches: In addition to the chewing gum tip above, mint and ginger are two herbs known for helping with tummy troubles. Send herbal teas, or flavored candies along with your camper. Biting bugs: Lemon eucalyptus oil is effective for repelling ticks and mosquitoes. This natural alternative to chemical based repellents can be found in some repellents, or you can make your own by diluting the oil and using a small spray bottle. 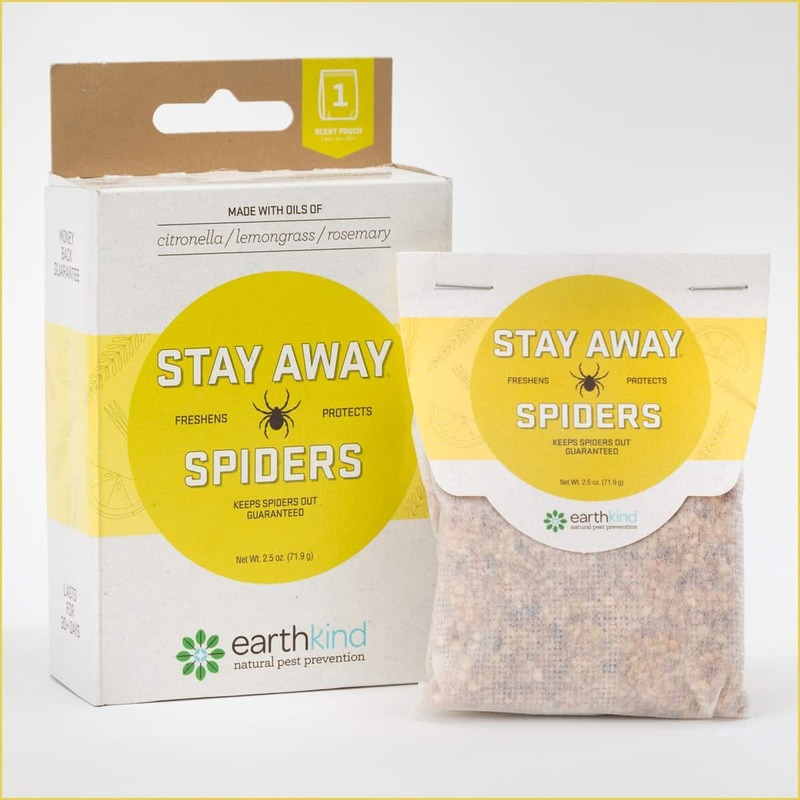 Cabin creepers: If the camp accommodations are a little too rustic, your camper will appreciate having a fresh pouch of Stay Away® Spiders. The scent of citronella and lemongrass doesn’t just repel spiders, but many of the other insects that spiders feed on as well. Make sure your camper doesn’t bring bedbugs home. Many camps are diligent about bedbug and pest prevention, but it’s always better to be safe than sorry. When kids return home, you’ll want to heat treat everything they brought with them to kill any bedbugs that might have stowed away. You can put everything directly in the dryer for 15 minutes on high heat, and use a heater box for baggage and electronics. The summer heat also offers an inexpensive solution: bag everything in plastic and leave it sitting inside a car in the hot sun for a few hours — bedbugs cannot survive temperatures over 120 degrees Fahrenheit. Even though all of these tips are safe and natural, make sure to check the rules and guidelines for your child’s camp so you don’t send anything that isn’t allowed. Summer camps have so much to offer from learning new things, getting in touch with nature, making new friends, and more. Remember, well prepared is halfway there, and with these tips, your kids will be well on their way to the best summer ever! Sunburn:  Send along packs of plain instant oatmeal. Making the oats extra watery and rubbing an oatmeal paste on sunburned skin will ease the pain. Poison Ivy:  Rubbing the inside of a banana peel on a rash from poison ivy, oak, or sumac can soothe skin and aid healing. Stomach aches:  In addition to the chewing gum tip above, mint and ginger are two herbs known for helping with tummy troubles. Send herbal teas, or flavored candies along with your camper. Biting bugs:  Lemon eucalyptus oil is effective for repelling ticks and mosquitoes. This natural alternative to chemical based repellents can be found in some repellents, or you can make your own by diluting the oil and using a small spray bottle. Cabin creepers:  If the camp accommodations are a little too rustic, your camper will appreciate having a fresh pouch of Stay Away® Spiders. The scent of citronella and lemongrass doesn’t just repel spiders, but many of the other insects that spiders feed on as well. The summer heat also offers an inexpensive solution: bag everything in plastic and leave it sitting inside a car in the hot sun for a few hours -- bedbugs cannot survive temperatures over 120 degrees Fahrenheit. string(72) "Surviving Summer Camp: Prevent Bugs From Bugging Your Kids -- Naturally."